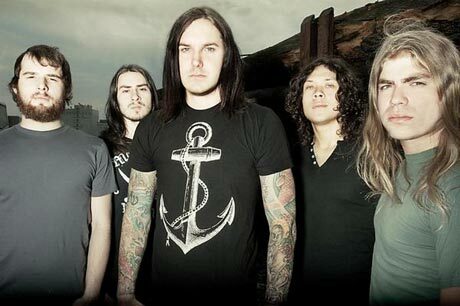 Tim Lambesis, singer for San Diego metalcore outfit As I Lay Dying, was arrested earlier today (May 7) over allegations that he had tried to hire an undercover detective to murder his estranged wife. Reuters reports that Lambesis was taken into custody today in Oceanside, CA, with authorities alleging the musician solicited help from an undercover detective to plot out a killing of his wife. Apparently, the police had caught wind of the plot before setting up a sting. "The information came to us late last week. We acted quickly on it. I believe that we averted a great tragedy," said San Diego County Sheriff's Department spokeswoman Jan Caldwell. Charges have yet to be filed, and an ongoing investigation prevents Caldwell from disclosing details as to why Lambesis may have been planning on having his wife murdered, or how the police were tipped off to the case. The singer is currently in custody and is expected to appear in court for an arraignment either tomorrow or Thursday. Neither As I Lay Dying nor the band' label Metal Blade has commented on the accusations just yet.